If our priests are allowed to be married, do we really need to carry sexual misconduct Liability? YES! Just because a priest or any other person in your parish is married, doesn’t automatically preclude them from committing inappropriate acts. It is a dangerous misconception to believe that all pedophiles are single persons, or that they would be easy to suspect. In addition, priests are not the only target of church related sexual misconduct cases. Most parishes have sunday school teachers, youth coordinators, etc. Your parish needs to remember that in these cases, you don’t actually have to do anything wrong…someone just has to SAY that you did. If our board member positions are elected and un-paid positions, why do we need Directors & Officers liability coverage? As board members of your church, you have been elected to act and make decisions on behalf of its parishioners. All of your decisions can have ramifications that affect the organization. If the members of the parish feel that you haven’t acted in their best interest, they have a legal right to file suit against the board members. This is not the same as suing the church, this would be a personal lawsuit against the board members, and their PERSONAL ASSETS WOULD BE ON THE TABLE for any judgments found against them. One of the most common reasons a suit like this occurs is a board not carrying enough insurance on the church’s property. How do we know how much coverage we need on our building(s)? You don’t. That is why you put your trust in an agent with experience in estimating the reconstruction costs of church buildings. Insurance Systems doesn’t just do a “copy-quote” on your existing insurance policy. We do a thorough underwriting review of what coverage your church needs. This includes estimating the reconstruction cost of your buildings. Our evaluations come from professionals who are experienced in rating churches, and have the training necessary to determine the levels of coverage needed. What types of items should be “scheduled” on the policy, and what does that mean? The term scheduled on an insurance policy typically refers to items that are simply listed on the policy with a set value next to them. What this does is provide the broadest available coverage on any of those specific items. This could include, fine arts items, jewelry, electronics, musical equipment, etc. The basic property form will cover these items as “contents” without scheduling them, but only for certain types of losses (ie fire, lightening, tornado, etc.). Scheduling items on the policy is more expensive, however the policy will then cover them on an “All-risk” basis. Our church owns a home that our Pastor lives in. Since the home is on the church’s insurance policy, will the Pastor’s personal belongings be covered in the event of a loss? NO. 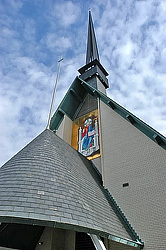 Since the church’s insurance policy is written to protect the church’s property, it will only pay for losses to items belonging to the church. The Pastor or any other person that lives in or rents the home is responsible for carrying an insurance policy on their contents. This is more commonly referred to as a “renter’s” policy. These policies are similar to a homeowner’s policy, but are written for contents only. 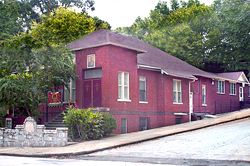 In addition, the renter’s policy will cover the Pastor for his or her personal liability. This would include any acts outside of pastoral or church related duties. These policies are typically very inexpensive, averaging in the $100-$300/year range. 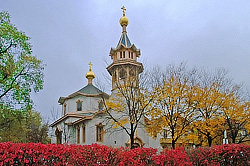 In March of 2006, All Saints Orthodox Church in Olyphant, Pennsylvania, was ravaged by fire which left the interior of the church in ruins. 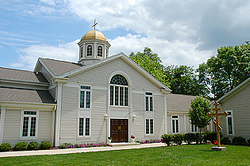 By nothing other than the very Providence of God, just months earlier, during the summer of 2005, the trustees of All Saints Church had realized that the current property insurance on the church and All Saints Parish Center was inadequate and we needed to investigate new and better rates of insurance. It was at that time that we contacted Insurance Systems. They provided us with a new and detailed policy through Guide One which upgraded, updated, and surpassed our old coverage by millions of dollars—at a premium less than we had been paying for the outdated policy. All Saints wasted little time in procuring Insurance Systems as our new insurance agent and Guide One as our coverage provider. 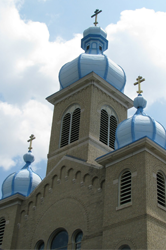 Few insurance agents could truly understand, appreciate and evaluate properly the needs of Orthodox parishes and institutions like Mike Herzak. His expertise in the field, his reliability and especially his immersion in his own parish life enabled him to offer us a complex coverage for areas of the church life and liabilities we have previously not contemplated. Our experience with the Insurance Systems could be simply described in the warmest terms I could use as a pastor. We can not thank Insurance Systems enough for their work on insuring our church. Our church was quite underinsured with the last insurance company we were with. I thought we had the right insurance for our activities, but the truth of the matter was that we had not checked the insurance in a long time and we had outgrown the policy. We wish to express our sincere appreciation to Insurance Systems Group for the exceptional attention they have given to our parish’s insurance needs. Recently, we suffered a major loss as a result to a flood in Wheaton, IL that engulfed the basement of our church. While the loss of material things can be replaced, it was comforting to know that the insurance we carry with ISG made it possible for us to recover and return to “normal” with a minimum amount of disruption. We offer our compliments and deepest gratitude for the assistance and guidance Insurance Systems offered us and for ensuring that we had the appropriate insurance coverage to meet our unique needs. 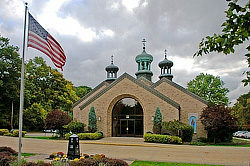 As rector of Archangel Michael Parish in Broadview Heights, Ohio, I have appreciated the expertise, commitment and prompt service we have consistently received from Insurance Systems Agency, Inc. Michael G. Herzak’s agency continues to provide updated coverage based on his unique insight into all insurable assets within the Orthodox Church. His ability to discern the intrinsic value of such properties as iconography, ecclesiastical wares and vestments has been key to the complete and quality coverage we possess. I am pleased to say that the Diocese of the Midwest, currently insured through Insurance Systems Agency, Inc. located in Cleveland, has been able to rest assured that all insurance related matters are addressed. Michael Herzak, who has always demonstrated his love and concern for the well-being of the Diocese, has taken a hands-on personal approach to details, making sure all properties and liabilities are covered. 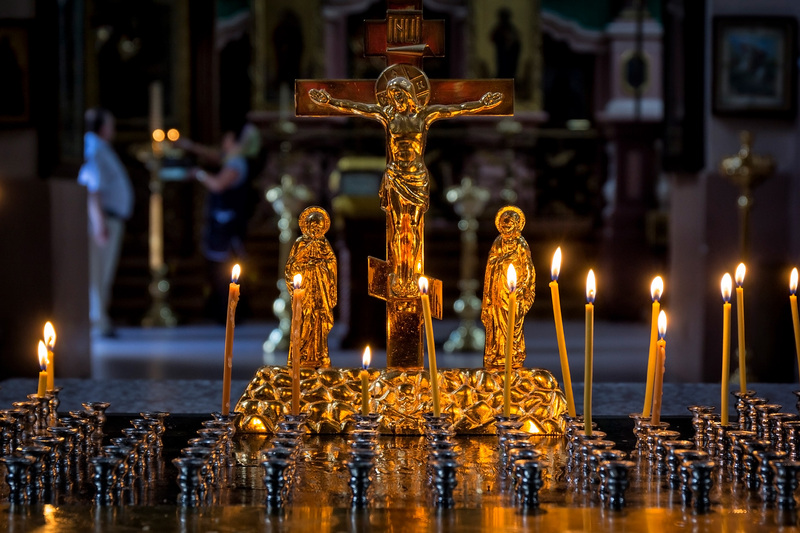 We know we have the experience of a seasoned professional as well as a knowledgeable Orthodox Christian.